Fit piecrust in 9 in. dish, prick bottom with fork. Bake 450° for 9 min. Sauté zucchini and onions in oil till tender. Arrange in bottom of piecrust. 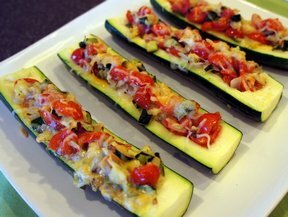 Arrange tomatoes on top of zucchini. Stir together basil, cheese pepper and mayonnaise. 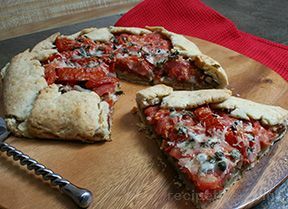 Drop by spoonfuls on top of tomatoes and spread gently. Bake at 425° for 10-15 min. or until cheese mixture is slightly melted and dish is warm.